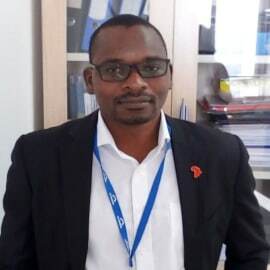 William Simwanza, Project Officer, Implementation Coordination Unit of the Accelerated Industrial Development for Africa (AIDA) in the African Union Commission, Department of Trade and Industry. He has over ten years of experience in Economic Policy formulation, Monitoring and Evaluation. He has worked in Both Economic and Social sectors both at national and international levels. His current job among others involves working with Regional Economic Communities on Industrial Development agenda for Africa. Before joining the African Union Commission, He worked in as an Economist in the Malawi Government in the Department of Economic Planning and Development for over seven years. He also worked in the NGO sector where he was head of Monitoring and Evaluation. He has also done consultancies in Agriculture technology uptake and natural resources Management. William Holds a Master of Development Policy from the KDI School of Public Policy and Management and the Bachelor of Social Science (Economics) from the University of Malawi.